Would you like to draw a picture of your pet gerbil? How about portraits of your tropical fish? This book and its easy-to-follow directions make it a snap. 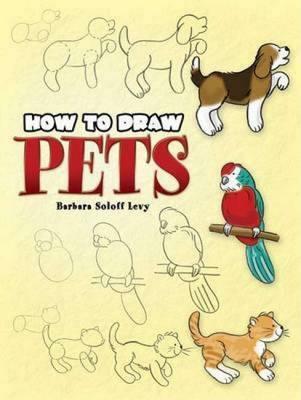 Simple step-by-step diagrams show how to join circles, ovals, and other shapes to create likenesses of 30 adorable creatures, among them a dog, cat, mouse, parakeet, pony, potbelly pig, lamb, hermit crab, and even a sugar glider (that's a cute little mammal similar to a flying squirrel). After you've finished the drawings, you'll find the pictures are lots of fun to color!